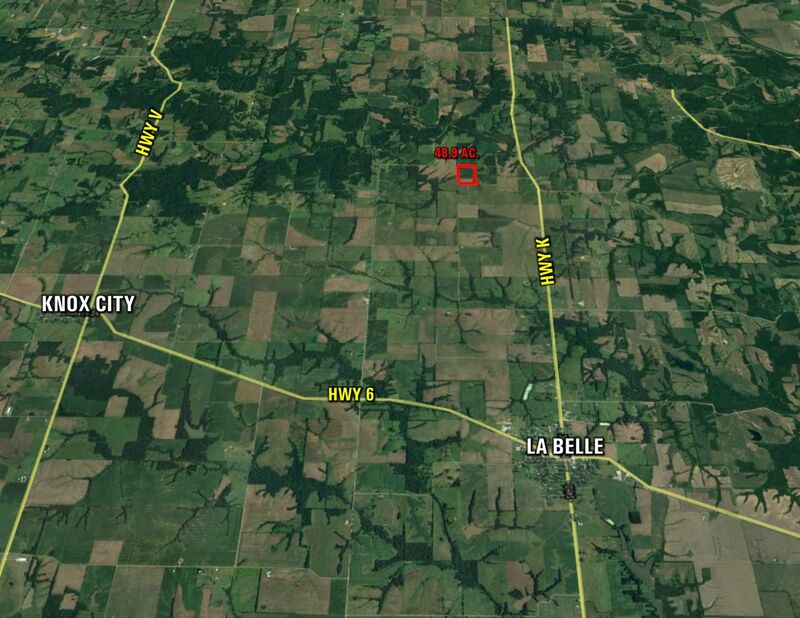 Offering 48.8 surveyed acres of productive Lewis County, Missouri farmland. The farm consists of 44.23 FSA tillable acres carrying class II, III and IV soils. Primary soil types on this tract include Kilwinning, Armstrong, Leaonard and Lindley loams. 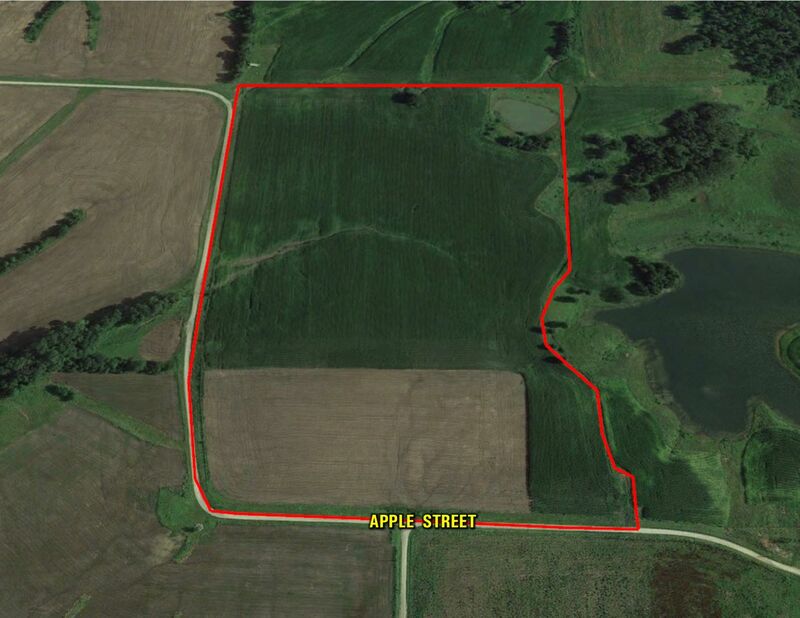 Currently leased for $215 per tillable acre until Feb. 28, 2022.. The farm also contains a nice 1/2 acre pond with recreational opportunities. The farm is located approximately 30 miles Northwest of Quincy, Illinois and approximately 30 miles Southwest of Keokuk, Iowa. The farm lays on the east side of Co. Rd. 382 in Section 17, of Reddish Township, Lewis Co. Missouri. Owner is offering a 3 yr. land contract. Traveling north out of LaBelle, Missouri, on Hwy. K, go 4 miles then turn west on Apple St., go .3/4 of a mile, the farm will be on the north side of the road. Apple St. borders the farm on the south and the west side. Owner is offering a 3 yr. land contract.